Volvo of Halifax is located at 3363 Kempt Rd. 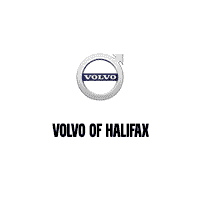 in Halifax and serves as your Nova Scotia Volvo Dealer. Volvo of Halifax is focused on ensuring all customers receive a premium Volvo experience. If you are shopping for a new Volvo in our showroom you will find our Sales staff are courteous and professional. At Volvo of Halifax , we carry the full Volvo line up including the 2018 Volvo S60, V60, S90L, V90, XC60, and XC90. New to our line up is the exciting Volvo XC40 SUV, our most compact all-wheel drive. Volvo of Halifax also carries an extensive Volvo Pre-Owned inventory. Volvo Certified used cars offer a level of performance, quality, and comfort that Volvo drivers have come to expect. We are confident that our impressive new and used vehicle line up will meet your needs. Please come into Volvo of Halifax today to test drive a new or used Volvo. We would love to take you for a spin.